The Linguistics Department at UK offers an undergraduate major, an undergraduate minor and a master’s degree program. 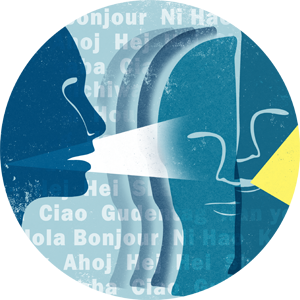 The undergraduate major and minor aim to give students an understanding of the core areas of descriptive linguistics, language in a historical and social context and the application of linguistic theory to various real world problems. The master’s program aims at an advanced understanding of linguistics in both a theoretical and typological perspective. In its scope the program is unique in the commonwealth of Kentucky and one of the most rigorous programs in the South East.